CAvalle! by dance company Le Guetteur – Luc Petton & Cie, performed in the Abbey Saint Léger de Soissons in 2010. The piece included 3 dancers, an Iberian stallion and a crow, and used a combination of choreography and improvisation. Discussing the work with Jurij Krpan, the gallery director, I was interested to hear of the soothing influence that an invited horse whisperer had on the skittish horse during preparations for the show. As soon as she stepped into the room, the horse gravitated toward her and relaxed as she stroked and massaged his body. I am drawn to the prosthetic legs that Laval-Jeantet wears in this and an earlier performance, Felinanthropy (2009), and how they force the human movements closer to the animal. I am reminded of Rebecca Horn’s Body Sculptures of the 1970’s, in particular Unicorn. The unicorn was a medieval symbol for purity, chastity and innocence. The German title Einhorn also contains a pun on the artist’s name. This work was designed for a performance by a friend of the artist. 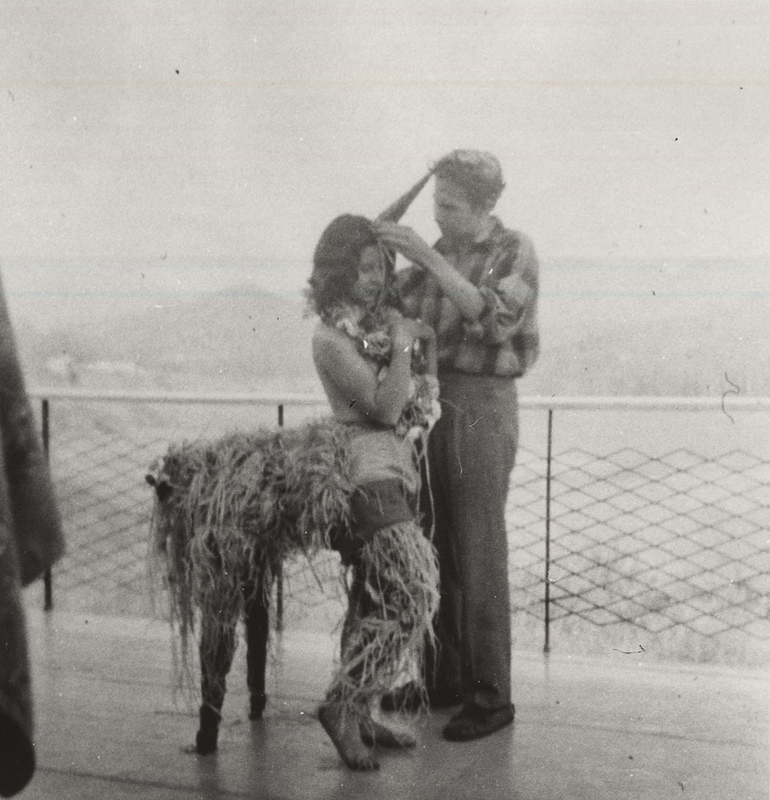 Horn wrote: ‘the performance took place in early morning – still damp, intensely bright – the sun more challenging than any audience… her consciousness electrically impassioned; nothing could stop her trance-like journey: in competition with every tree and cloud in sight…and the blossoming wheat caressing her hips’. This account emphasises both graceful movement and the element of self-exposure that is often found in Horn’s work. 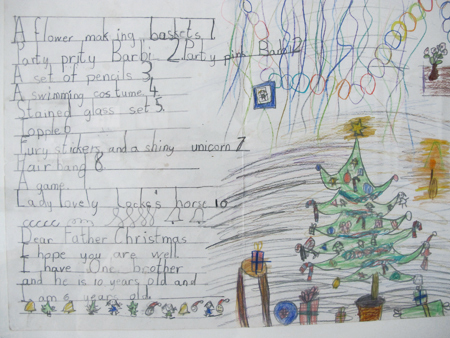 Item no 7 on my letter to father Christmas when I was 6: “Fury (sic) stickers and a shiny unicorn”.